It is HOT outside! Why go melt in the heat when you can shop from your computer with ease and great deals?!? Drugstore.com is a fabulous site for all those necessary little items. Razors, vitamins and so much more. They always have great savings offers and it’s easy to order and convenient because I don’t have to drag myself out in this heat! 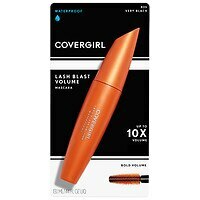 Instant Coupon: Buy one CoverGirl Lash Blast Volume Mascara and get one free at drugstore.com! Offer ends 06.30.2012 or while supplies last. Ok this one I’m using for sure because summer, loads of playing outdoors and three boys is a prescription for disaster. Save up to 50% on First Aid Only first aid kits at drugstore.com! Offer ends 09.26.2012. Beauty.com is like a sister-site to drugstore.com. Of course I love it too! Whereas drugstore.com has typical drug store items, beauty.com has a bit more of the premier brands. Still fab savings. Love Laura Geller products? Get free primer with purchase. Buy $35 from Laura Geller at Beauty.com and receive a free travel sized Tinted Spackle primer ($10 value)! While supplies last. Buy $50 of Stila at Beauty.com and receive a free full size Custom Color Blush in Pink ($20 value)! While supplies last. Enjoy shopping and stay cool baby!